Have to admit, I did not see this coming. 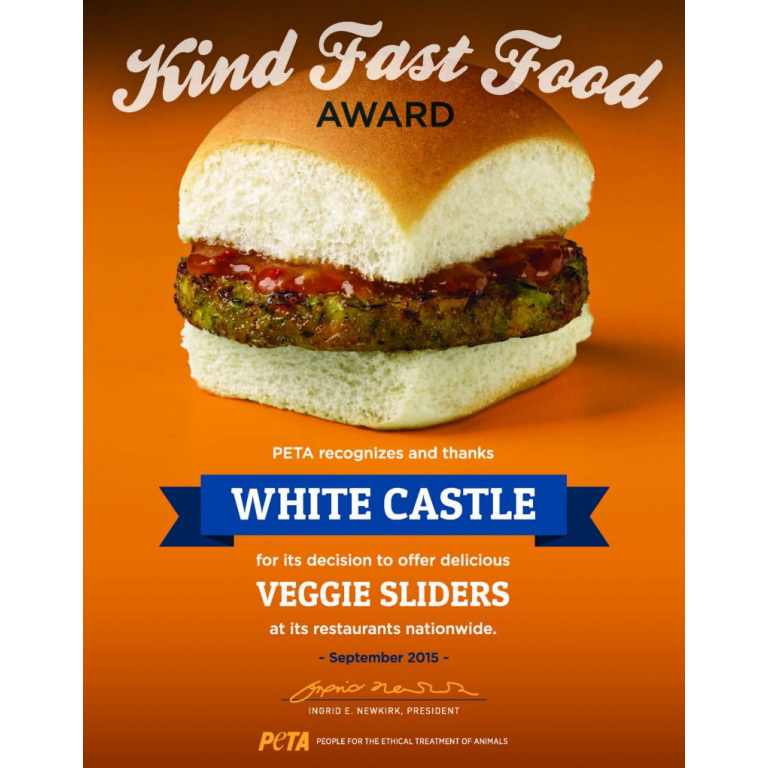 Who would have guessed that the White Castle chain would offer veggie (December 2014), let alone vegan (today) sliders? PETA has given them an honorary award. It simply is astonishing to be in the middle of such a sea change in the fast food menus and you can’t thank my generation of Baby Boomers for it. I have found the vast majority of my friends to be unable to think about changing the way their parents taught them to eat in 50s and 60s. Let’s say they grew up with an attitude against vegetables that never left them. Plus the commonly held notion that you need a lot of protein from meat in order to stay healthy. How often do you see people admitted to the hospital for “protein deficiency?” Not much if ever. In fact most people eat too much protein and that leads to cancer, immune disorders, obesity and inflammation. Millenials did this movement toward a plant-based diet just in time for our planet, and mostly on their own. Fast food companies are taking notice of Millenial’s eating habits and catering to them with more and more non-meat choices. See my recent stories on Ben & Jerry’s, Taco Bell, etc. It’s a NEW DAY.